Saaraa Premji » Blog Archive » I’m selling my art! I thought I would update this page and let you know about my online store. It’s run through etsy, a place for handmade items of all kind. I decided to try and sell my work last summer. Partly for validation and partly to raise some money for a good cause. Some wonderful friends and family bought some prints when I first opened in October 2011 (thank you so much Bubbles, Wah, Alysh and Michael!!). I couldn’t believe that I had such supportive friends. Just recently, I made my first sale to a stranger. The feeling of having a random person like something you made, enough to buy it, is pretty amazing. At this time, TWO strangers bought something I made. It looks like a small number all typed out, but I honestly didn’t think it would happen. I never want to harass my friends into buying from me (hopefully my facebook posts haven’t been too irritating), but I was beginning to consider it because sales were at a full blown stop. Marketing to the public is something I see value in, but investing in it is scary. A lot of what I have printed is seasonal, so that’s something I’ll be doing for the upcoming spring. I ended up speaking at length with one of my buyers, Sarah, who is a photographer based in California. We discussed everything from custom sizing, photography (she’s a fellow advocate for the 50mm 1.4), and snowboarding! Etsy really is the online version of a quaint shop where everyone is friendly with one another. 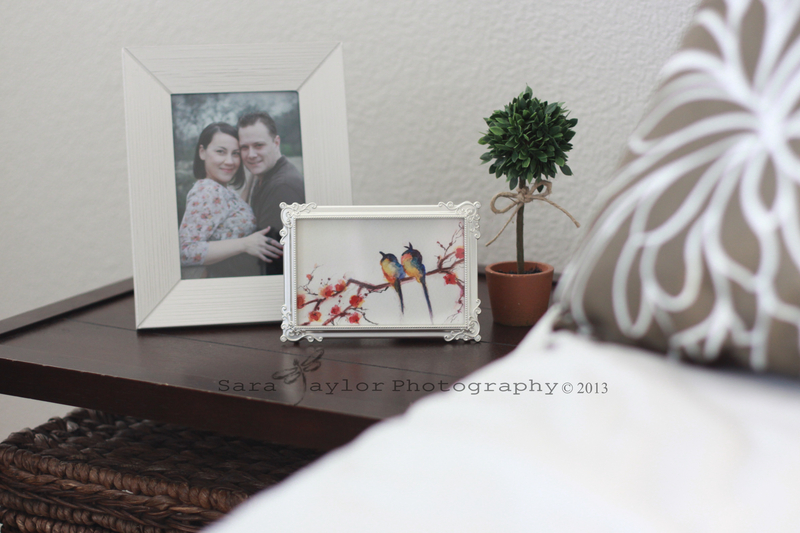 She sent me a picture of my birds painting framed on her nightstand. I asked her to watermark it, so I could show it to you guys and perhaps give her site some extra clicks. Giving back can be fun, but I’ve learned a valuable lesson: making any sort of profit is difficult… so please take a look around my virtual store and keep in mind that 100% of proceeds go to charity.